Vienna House, Austria’s largest hotel group, celebrates the opening of new hotel in central Leipzig. To mark the opening of the stylish hotel, guests can get a special deal on all bookings taken until 31st July 2018. The hotel is the newest addition to Leipzig’s beautiful old town, ideally located near sights such as the gothic St. Thomas Church that has played host to influential musicians including JS Bach. The hotel combines urban design with features reflecting the city’s vibrant arts scene, along with offering a high standard of facilities. 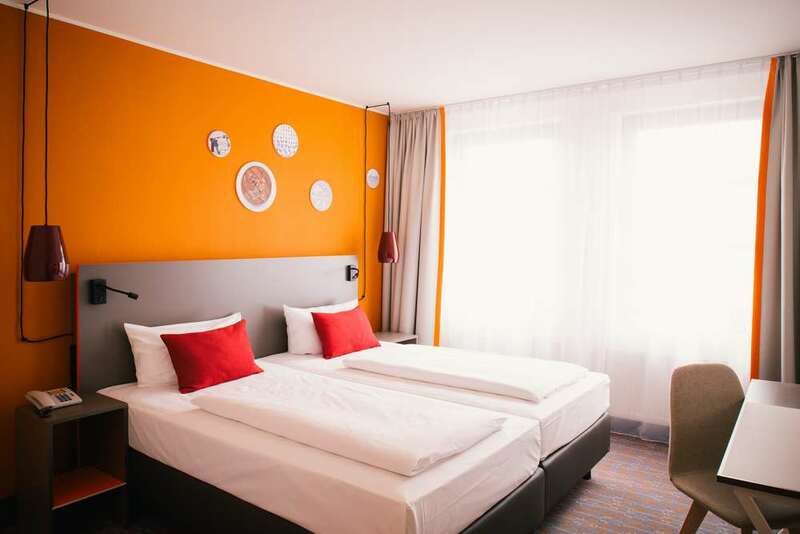 Vienna House Easy Leipzig features 205 rooms including 11 suites and six family rooms, offering the perfect refuge after a busy day in the city. The hotel combines comfort with modern design and high standard facilities, such as an in-house gym offering panoramic views of the city. Vienna House also adds a personal touch with guests able to select their own plants for their room from the hotel’s plant station. In the spacious, open plan lobby sample local produce including craft beer whilst experiencing a taste of Vienna with cuisine such as dark rye sandwiches on the menu. To mark the opening of the new Leipzig hotel, from 6th July to 12th August 2018 guests can enjoy a special single rate with single rooms available from €79 and doubles from €89 when booking online up until 31st July 2018. Independent bars and pubs, a lively student scene, countless restaurants, an innovative cultural scene and rich musical heritage set the tone in Leipzig. To make the most of this diverse city and explore with one of the hotel’s free to hire bikes.